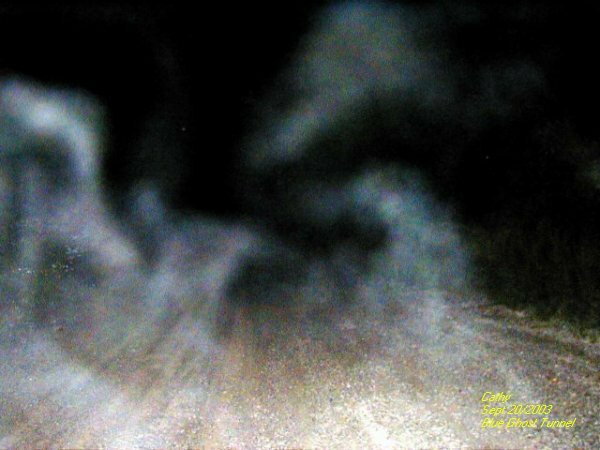 This photo that Cathy took was interesting to say the least, showing a few forms of energy following us back..
More ecto mist with energy to the form of the spirit. 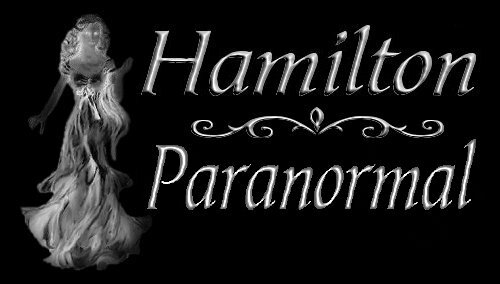 This was the first time that we had so much spirit activity that followed from a haunted location. 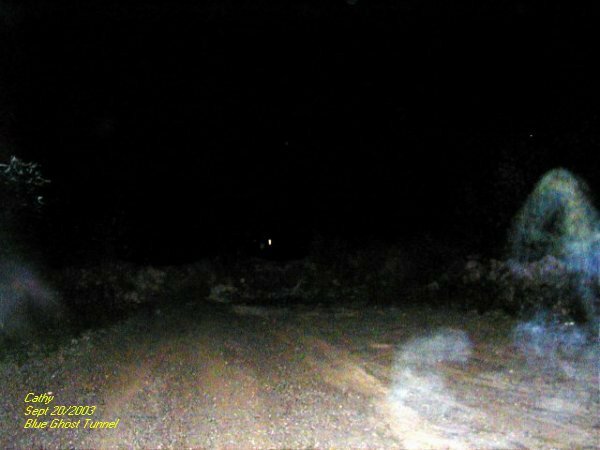 It appears as though the spirits that occupy the tunnel wanted to communicate with us by showing us they were near by. 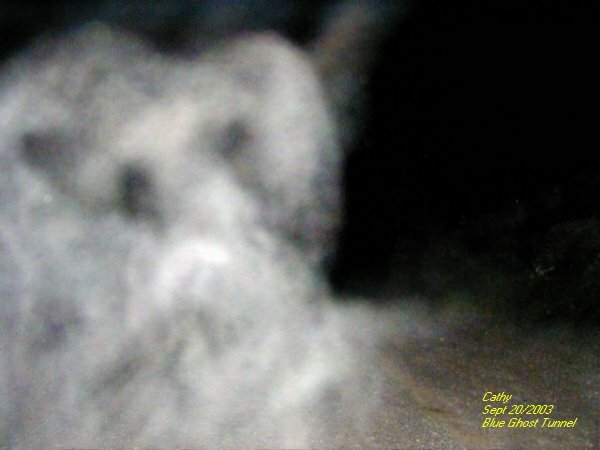 A picture of some blue ecto plasm that was forming by the left side of the road. What the form was going to be is anyone's guess. Cathy took this picture facing back to the mound of dirt that blocks the road heading for the BGT. 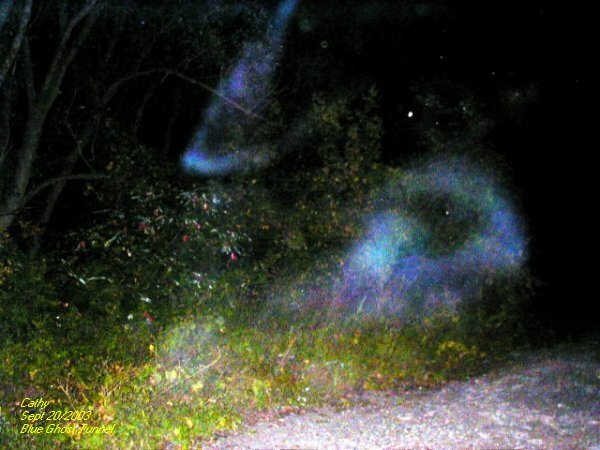 To the right of the photo you can see some spirit activity with a lot of energy to it. The one on the road has me puzzled. It looks like a dog in one way but the neck of the entity is too long. 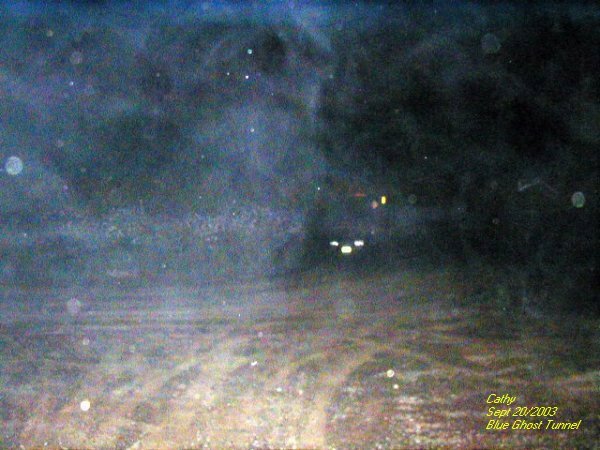 In this photo one can see the ecto plasm that is present blocking out the cars in the background. This is one night that we will not soon forget. The other guests we had with us were by the hearse waiting for us to get done with the photo shoot. When I had approached Cathy the wall of ecto mist seemed to move away as seen in this photo. 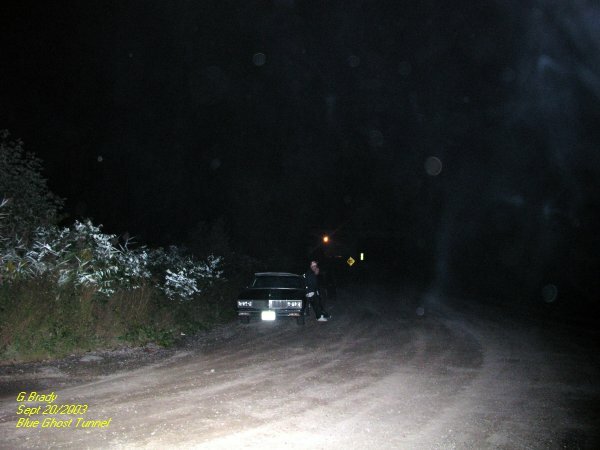 Some orbs made themselves known hovering by the car.